Happy New Year to all of my readers!! I hope that you can count the many blessings that happened in 2017, and are excited about what can be in 2018. 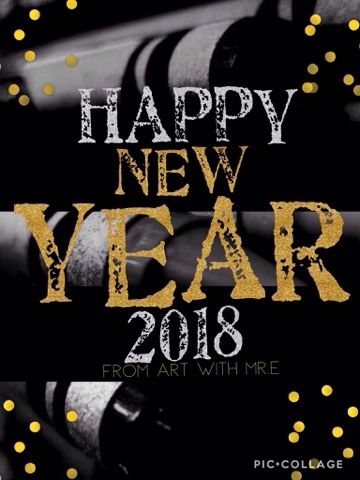 I appreciate each and every person that comes & visits Art With Mr. E....& those of you who comment & connect through this blog and all the Art With Mr. E social media! We are better together, and can accomplish so much in the new year! !